A government-funded job training program that promised to turn hundreds of residents of Kentucky’s coal country into computer coders so far has spent $2 million to place 17 people in tech jobs and may have left others worse off, The Daily Signal has learned. The program, a private-public partnership between state and federal agencies and Interapt, a Louisville-based software development company, is a product of President Barack Obama’s TechHire Initiative of 2015. The job training program, budgeted for a total of $4.5 million, was supposed to last through 2019 and train up to 200 people from an economically depressed region of Kentucky for middle- to high-skill careers in information technology. The program paid interns $400 a week to learn how to write software code, and Interapt promised high-paying jobs to those who successfully completed it. 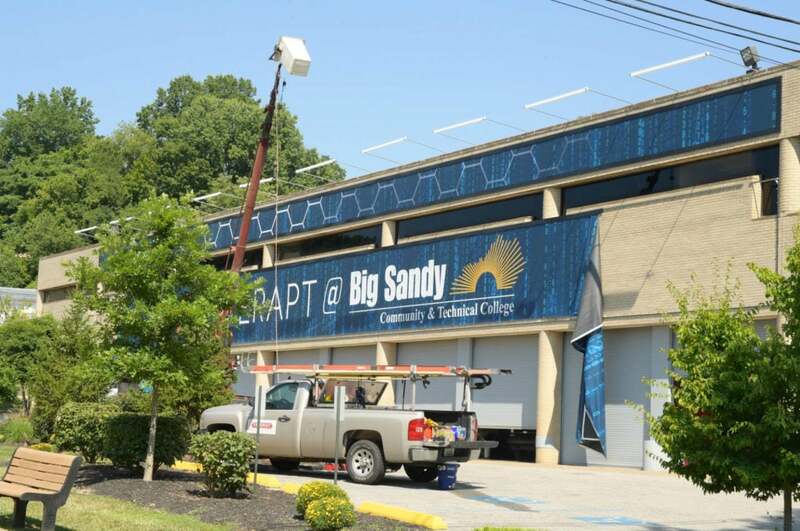 But less than a year later, workers have torn down signs at Big Sandy Community and Technical College, where the program was based, and are closing shop on what appears to be a government-funded program run amok. 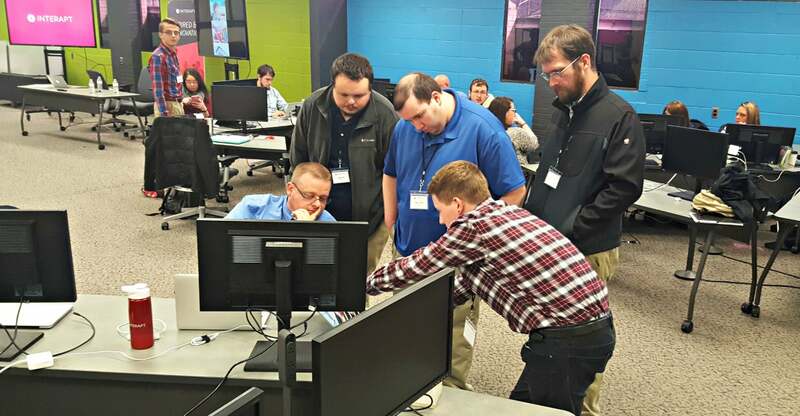 A total of 32 of the 49 Kentuckians who originally enrolled in the TechHire program in Eastern Kentucky, known as TEKY, have not obtained jobs in the tech industry, according to government figures. One, Amanda Tackett, said she left another job at the advice of a TEKY instructor in order to succeed in the program. Tackett says she was cut after just three weeks, before testing even began. Others who made it through are getting by on internships and government stipends to support their families while they search for a full-time job in Eastern Kentucky. Over the course of a month, The Daily Signal spoke with eight people who had been enrolled in the TEKY program, some of whom asked for anonymity. Meanwhile, Interapt CEO Ankur Gopal is soliciting more government money in cities and towns across the country to fund similar public-private job training programs. As we are working to create our next programs both in Kentucky and in other states, we are working to incorporate a plan for helping those that could greatly benefit from basic business environment skills: appropriate dress, hygiene, communication, and more. Interapt’s version of events differs drastically from those of the agency that oversaw it and most of the program participants interviewed by The Daily Signal. As an established technology company searching for additional technology workers, Interapt was our best option at the time for a TEKY1 partnership. However, the company has not lived up to its commitments, nor do we believe it has the ability to meet those expectations in the future. Therefore, we do not anticipate future contracts with the company. Despite this rating of “unacceptable,” Interapt says on its website that the company is expanding the TechHire program into Louisville, Western Kentucky, and Northwest Wyoming, for which it will need more government funding. But the program led those enrollees to expect much more. In early April 2015, Obama promoted his national TechHire initiative in a trip to Louisville. 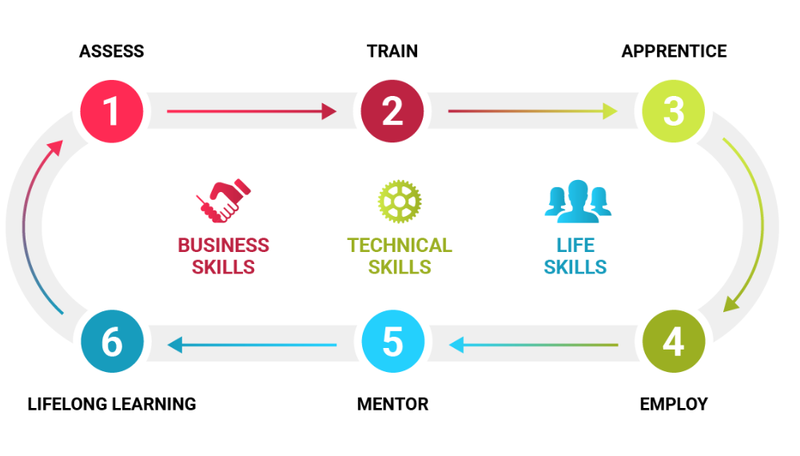 The next year, in August 2016, two federal agencies and a federal-state partnership called the Appalachian Regional Commission awarded a total of $2.75 million to the TEKY program as part of TechHire. The two agencies were the Commerce Department’s Economic Development Administration and the Labor Department’s Employment and Training Administration. According to documents obtained by The Daily Signal, EKCEP contributed an additional $1.5 million, and the Kentucky state government contributed $250,000, for a total of $4.5 million. Goldberg, the spokeswoman for Interapt, said the company “put $600,000 toward the program,” but she did not provide documentation. The plan was for Interapt to train 200 students over four years at the Paintsville, Kentucky, branch of Big Sandy Community College, where workers tore down related signs Wednesday. In September 2016, the first class started with 49 students. By January, when the internship phase of the program began, that number had dwindled to 30, according to EKCEP. Interapt says on its website that 35 participants were offered jobs during the program or after it ended July 17. But through requests for public documents and interviews with EKCEP officials, The Daily Signal learned that only 30 participants transitioned in January to the internship phase. Of those 30, only 17 obtained jobs in the tech industry thus far. Of those 30 who successfully made it to the end of the program, EKCEP said, Interapt hired 13. Interapt, however, claims it offered jobs to 25. Whitehead, executive director of EKCEP, provided The Daily Signal with what he said are accurate figures. Goldberg, however, said Interapt stands by its figures. Whitehead suggested that Interapt failed to hold up its end of the bargain. He said EKCEP is doing what it can to place the remaining eight graduates in jobs. Looking forward, the program no longer will exist in its current form, tailored to the promises of a single employer. “We are strategically evolving our efforts with training based upon a consortium of tech employers,” Whitehead said in a written statement. The change will “create greater sustainability and efficiencies,” he added, and provide more training and employment options. EKCEP has just over half of the originally allocated taxpayer dollars left to administer the next iterations of the job training program. Documentation obtained by The Daily Signal shows EKCEP spent $1.98 million on the partnership with Interapt. That total includes payments of $861,612 to Interapt for staff salaries and management fees, $706,146 for program service fees, and $115,287 for travel. 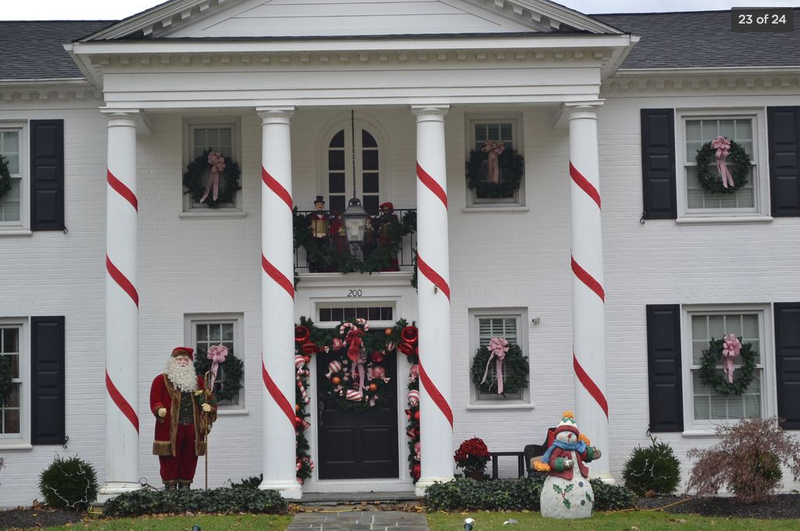 In one case, Interapt billed EKCEP $5,200 a month for rental of a five-bedroom, five-bathroom house in Paintsville, complete with swimming pool, for Interapt staffers working on the training program. But Gopal, Interapt’s CEO, submitted as an expense and was reimbursed $1,022.40 in December alone for staying at a Ramada Inn in Paintsville, which is about 200 miles east of Louisville. The house must have been at capacity then, Goldberg told The Daily Signal. Gopal, who studied at the University of Chicago’s Booth School of Business, founded Interapt in 2009. When Interapt didn’t hire some of the interns last spring, EKCEP reached an agreement with the company to extend the internships for 90 days. Since July 17, when that extension expired, EKCEP has continued to provide case management and career support for those it couldn’t place in jobs, Whitehead said. Contracts suggest EKCEP based the training program on Interapt’s assurance that it was investing in the Paintsville community and would bring much-needed jobs to the region. The idea of turning coal country into “code country” became so popular among the news media and politicians alike that they dubbed Eastern Kentucky “Silicon Holler.” The stories earned the attention of national media, including The Wall Street Journal and NBC’s Megyn Kelly. But for some people on the ground, the attention was more of a marketing ploy. Paintsville is in Johnson County, which has been devastated by the collapse of the region’s coal mining industry. Alternative energy sources, coupled with regulations handed down by the Obama administration, resulted in the loss of mining jobs and ripple effects in the surrounding county. Johnson County had an unemployment rate of 8 percent in May, the most recent data available, compared to the national rate that month of 4.3 percent. Making matters worse, Kentucky was hit hard by the national opioid drug epidemic. Some counties in Eastern Kentucky ranked among the highest in overdose death rates per 100,000 population, according to a report from the Kentucky Office of Drug Control Policy. For the 49 men and women who accepted the opportunity, TEKY was supposed to be their ticket out. Ben Larrabee, who agreed to speak publicly about his experience, recalled that he had just been let go from Sheldon Clark High School in Inez, Kentucky. Larrabee, 40, had been a math teacher in the area for 13 years, but lost his job in the poor economy. With a wife and two daughters, 11 and 18, to support, he was desperately searching for a stable career. After “an endless flow of rejection emails” from schools around the region, Larrabee heard about the TEKY program, applied, and was accepted. Between his background in math and experience as a teacher, Larrabee was a perfect fit and quickly stood out. “I applied my teaching skills and candor to earn the attention of the program director, and was offered a teaching assistant job after the third week,” Larrabee said. Because Larrabee began as a student in the program, he received the weekly $400 stipend from EKCEP while also collecting unemployment. This meant he already was bringing in more money than the teaching assistant job offered. He asked to stay on as a student, he recalled, but offered to continue helping Interapt with additional responsibilities as if he were a teaching assistant. “It wasn’t much later that I received a Professional Improvement Plan,” Larrabee said, referring to a performance review he believed to be inaccurate. Larrabee has since gotten a job teaching at Tri-State STEM+M Early College High School in South Point, Ohio. Besides wanting to hold Interapt accountable for its promises, Larrabee said, he decided to speak out to prevent others from picking up their lives and relocating to participate in what he considers a deceptive program. The Daily Signal spoke with three other students and graduates who said they did not want their names published because they’re still looking for jobs in the tech industry and fear they could be blacklisted. For at least some graduates who did land a job at Interapt, though, the program was the opportunity of a lifetime. 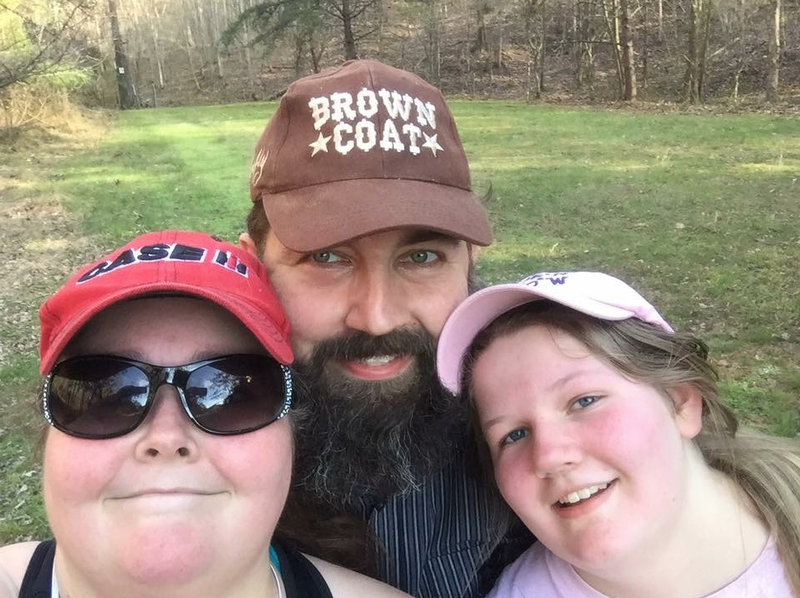 “I went from making just a little bit over minimum wage to making a very healthy salary for myself now,” said Nicole Clark, 24, of Paintsville, who said she used to work as a shift manager at Pizza Hut. As for their take on those who didn’t get jobs? “It’s natural that they might have a little bit of hard feelings,” Clark said. “I think everyone who was a good coder was offered a position,” Tressler added. But if they were underperforming, Larrabee and three other participants told The Daily Signal, program supervisors didn’t give them the opportunity to address those problems. “They are trying to spin it now that those who weren’t hired didn’t make it through the internship, yet there were no assessments, no way of scoring, no way of tracking progress,” said one former intern who made it through the program but still seeks employment. In May, President Donald Trump proposed eliminating the Appalachian Regional Commission in his budget proposal for fiscal year 2018, a decision criticized by some Republicans as well as Democrats. The Appalachian Regional Commission, the federal-state partnership, was the main source of federal funding for the TEKY program. The Heritage Foundation, the parent organization of The Daily Signal, supported those budget cuts and recommended joint training funds instead go directly to state and local governments, to encourage transparency and efficiency. “Companies like Interapt can rely on the federal government as a crutch because the government has traditionally funded these job training programs, and it creates this vicious circle where industry supports it, politicians support it, but the results don’t bear out the intentions of the programs,” said Nick Loris, an economist who researches and writes about energy policy at The Heritage Foundation. “They can be funded by the private sector if they have a demand for more employees—it should be upon them to pay for the necessary training to meet their workforce demands,” Loris said. It’s what they call broken promises, not the funding source, that leaves the unhired interns bitter. “It was very sad that we were misled,” the female student said. And worse, said another former intern now working a factory job, Gopal may benefit from their hardship as the Interapt CEO continues to promote the training program on his company website and seeks to start up others like it. This story was updated to clarify the number of Kentucky residents the TEKY program intended to train.